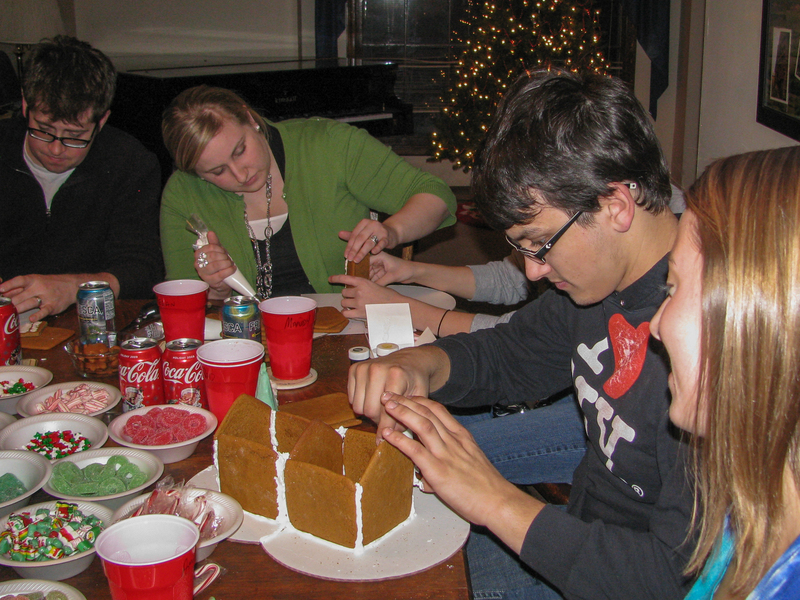 In 1992, our family established this Gingerbread House tradition. Initially we would invite a family from church to join us, but as the children grew over the years and added significant others, we now limit the crowd to immediate family members. Each “child” receives his/her own gingerbread house and cardboard base. Currently that would be my three children, their spouses, and one grandchild. One double batch of the recipe makes approximately three houses. So this year I will plan to make three-double batches and have a bit of leftover dough for gingerbread men and women to decorate as well.